The prolific serial killer has resurged as a hot topic as of late, and Netflix aren’t the only ones on board with retelling Bundy’s story. Joseph Berlinger’s recent full-length thriller Extremely Wicked, Shockingly Evil and Vile, starring Zac Efron, has received a lot of praise and positive reviews. But not everyone is excited about Ted Bundy’s popularity soaring thirty years after his death by electric chair. While the true crime genre seems to grow by the minute (podcasts, television series, films) a lot of people are put off by its popularity. Some fear the love of true crime stems from a general unhealthy understanding of love and the relationships people have with each other. The fascination is often misinterpreted as a fetishization of the cruel suffering the victims endured. What bothers me about the Bundy backlash is the assumption that the interest in these awful, complicated relationships is new and exclusive to true crime fans. The Ted Bundy Tapes do not shed any light on these situations that hasn’t existed before, especially when it comes to the interest of serial killers — even Charles Manson had his adorers. Whether it’s real-life instances of obsessions (like the odd marriage of Bundy and Carol Ann Boone after his imprisonment) or beloved fictional cases of abusive relationships, taking a deep look into why it exists is what’s important. Even the fictional connection between The Joker and Harley Quinn — from comics to feature films — is often romanticized despite it clearly being a commanding and abusive relationship. Controllers and aggressors often manipulate others into believing their behavior is fueled by passion. And we’re often told that this behavior is a side effect of love and admiration. From a young age, women are told that violence against them is, in fact, signs of love and affection. Look at the cliche “if boys are mean, it’s because they like you” — it perpetuates the societal acceptance that men have permission to be aggressive towards women without consequence. Clearly this is a tired trope but the facts remain: women often don’t feel empowered to confront these encounters because they are taught that it’s okay. So does the obsession with Bundy and others of his kind come from a place of appreciation? Or are we relieved to watch when the mask is pulled off? The unveiling of these men is a public exposition of the evil that women face every day. While not every woman has been sexually assaulted, we can assume most have had some kind of uncomfortable encounter with a date or acquaintance. Unwanted touches, awkward advances — many of these encounters are brushed off because women feel they’re simply “overthinking” the situation. Even worse these encounters happen with people who, in theory, could be trusted. According to Campus Safety Magazine, victims were on a date with their perpetrator in 12.8% of completed rapes and 35% of attempted rapes. Of course, hindsight is 20/20. 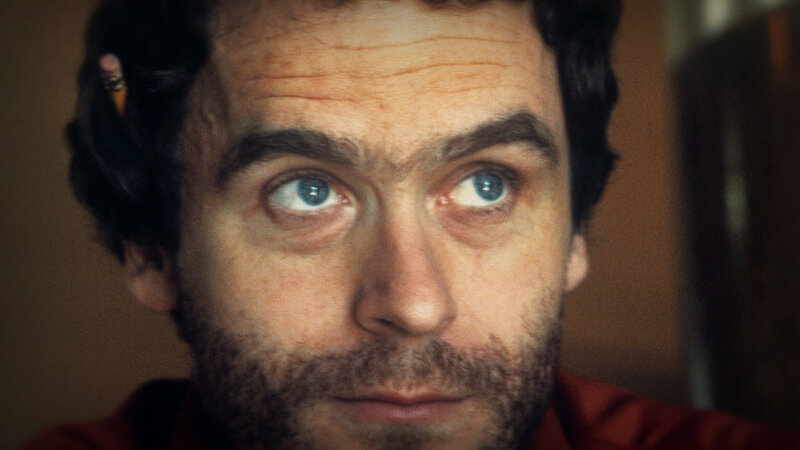 Looking at Ted Bundy now, we can see through his mask. Maybe Bundy wasn’t exceptionally stunning, but it’s not hard to understand why he’s considered the “hottie serial killer”, and despite what others think, imagining Ted Bundy as a charmer isn’t too difficult. As a young man in the seventies (and to a point, even today) Bundy had everything going for him that would make him the quintessential non-threatening dude: a young, politically involved white man attending law school. My comment on Bundy’s good looks didn’t come from a place of lust. My heart doesn’t burst and stomach doesn’t fill with butterflies whenever I see a photo of Ted Bundy. I’m not attracted to the killer, nor do I admire a single thing about him. On a cellular level, I understand why a women may not have worried about Bundy simply based on his appearance. What’s terrifying is that given the right time and place, Bundy could have approached me at a bar, and I could have easily entertained him. What’s even more terrifying is that Bundy clearly isn’t a one-off seventies maniac. There are plenty of men like him out there and it could, has, and does still happen. The recent Netflix series You has received similar backlash to the multiple Bundy features. 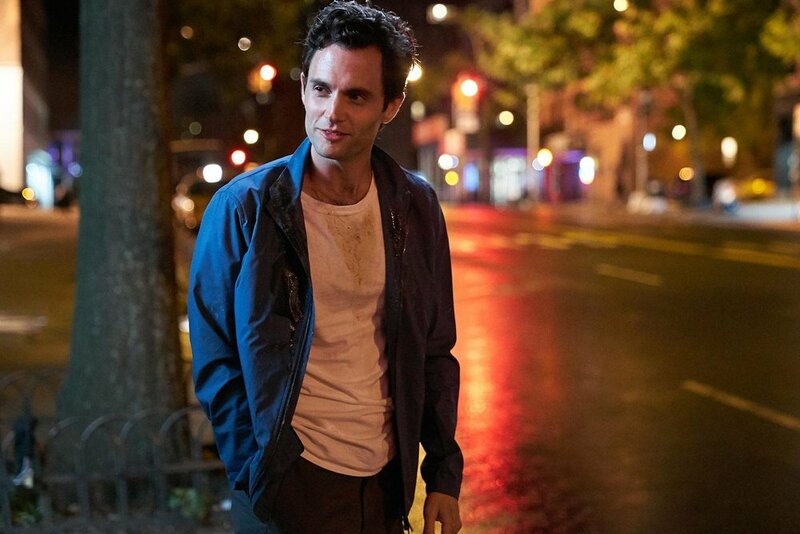 Penn Badgley plays Joe Goldberg, a man who stalks a woman named Guinevere Beck in order to win her affection. Badgley has often played a dreamboat —Dan Humphrey in Gossip Girl (2007-12), Todd in Easy A (2010), and Scott in John Tucker Must Die (2006) — so it shouldn’t be a surprise that even in this serious and spine-chilling role, audiences can find something alluring about him. Zac Efron’s portrayal of Bundy in Extremely Wicked, Shockingly Evil and Vile is making audiences just as angry as Badgley’s character. In some ways, his own career and rise to fame is similar to Badgley’s, as Efron has often been portrayed as an innocent and boyish heartthrob; like in High School Musical (2006) and Hairspray (2007). While Efron and Badgley’s sweetheart-gone-killer transformations are due to their actual careers, their fictional change in many ways mirror the very real transition of abusers like Bundy. A man with a handsome face does not, in any way, negate any of the horror he’s performed. But in a world where physical traits (skin color, body type) are so valued, it’s important to acknowledge that the fact that even someone who has “the right” ones can destroy you. Being upset at Efron for portraying Bundy as cute and charming is misdirected anger. Instead, the anger should be focused on the fact that this actually happens in real life. Ted Bundy was the worst kind of monster who, on the surface, was attractive and non-threatening. The most dangerous people are often the ones we trust the most: the ones with soft eyes, big smiles, and who remind us of our friends, brothers, and fathers. Ted Bundy had everything going for him as a white, male law student. While the anger escalates over our fascination with Bundy’s appearance, it’s important to remember that he was able to do what he did because of his appearance. The bottom line is: give the true crime community more credit. The “obsession”, for lack of a better word, with killers like Bundy can be interpreted as a satirical view on dating and relationships in our society. The creeps could be anyone in our lives. And the victims? We could be the victims. That’s why we love the stories and cinematic representations of these characters, because they uncover the seemingly safe people we’ve been told to trust. Not all monsters wear it on their sleeve. It’s important to portray the attractive mask often worn by the ones who can hurt you the most. Here is a list of Ted Bundy’s victims from Murderpedia. We strongly encourage you read more about these women and their lives that were cut short due to cruel, unnecessary, and undeserved violence.